Rather than predictions for a coming year I like to create inspirations. At the start of 2011 I imagined a new kind of university, a University of Open, that served as an inspiration for me throughout the year. Thought I’d start 2012 off in a similar fashion and imagine another new kind of university, a university defined by the public and students – a PublicU2. In Canada most universities and colleges are “public institutions”. But are they really very public? Certainly they receive significant public funding in the form of government grants. However, are they open and transparent? Do they seek public input? Are they under any kind of public control? I’ve been reading the book Public Parts by Jeff Jarvis and its provided a helpful frame of reference for reimagining a public university. 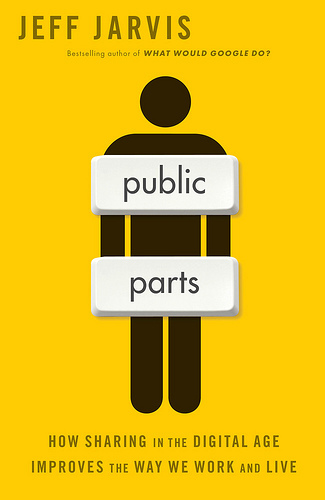 Public Parts explores how sharing in the digital age improves the way we work and live. Jarvis talks about how companies are becoming increasingly public. In our digital age shouldn’t public universities become more truly public by opening up and providing students with a say in what they want as education before it is made? I know from working with faculty and staff of institutions that they always say they are doing what they do for students. I have a strong empathy with that position – doing what we do for students is education’s moral high ground. But are institutions really the agents of student will? Hasn’t this turned out to mean that they see themselves as being in a better position to make decisions about education than students are? Have our public institutions been vested with power and authority to think and act on student’s behalf without public input? Has institutional autonomy and the constant competition for student enrollments resulted in institutions that act in their own self interest rather than the public interest? I’ve started imagining what a university would be like if it pursued a more public engagement process centered around the student. What if a university sought student input into not only what education to provide but how to provide it. What would a PublicU2 look like? Some of you may be saying this is sheer folly. It’s like asking people who know nothing about cars for their input on what kind of car they would like. But even if you know nothing about how cars work your input on what kind of car you’d like could be still substantial. Currently all you can do is pick from manufacturer pre-defined options – luxury or budget? sporty or family sedan? standard or automatic? … What if you could tell a car manufacturer what you want in a car and see that input used in design and production. Welcome to Local-Motors.com. 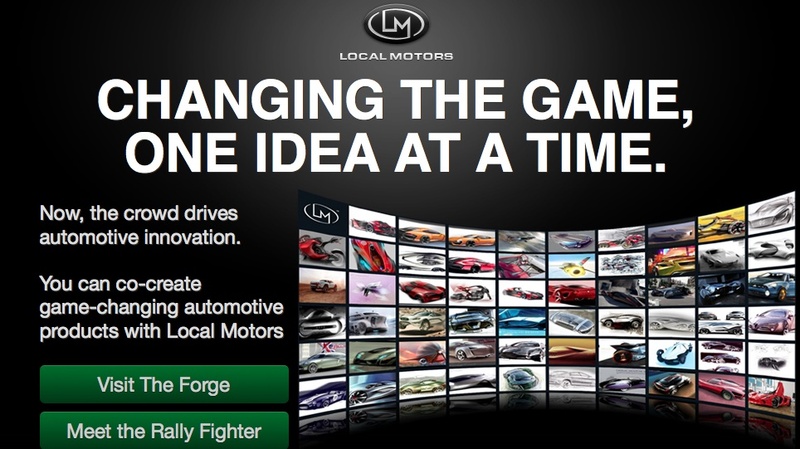 Local Motors uses a co-creation model for collaborative car design. For Local Motors first car (an off-road muscle car) the public submitted over 40,000 designs. The winning designer received $20,000 in prize money and worked with company staff and the community to bring the car to reality. Local Motor designs are openly licensed for sharing using Creative Commons. Local Motors publishes complete and detailed specifications and invites community members to design component parts. Imagine PublicU2 being truly open and public in a similar way. Lets say a degree to support the high technology sector is needed. Why not open up the design process and invite students and the public to submit designs for the degree? You don’t have to hand over the entire decision making process to voting or popularity you just have to give weight to the input of the community of students and the public and defer to their judgement whenever possible. And what if you launched that degree as beta? What if you committed to continuously improve that degree based on enrolled and prospective student input? What if graduates were invited to continue to enhance the design of that degree and the actual courses themselves even after graduation and could subscribe to subsequent releases of improved courses as an alumni benefit? Still not sure. Here’s some more examples. Vancouver is home to the awesome shoe store Fluevog. One of the most visited pages of their web site is Open Source Footwear. 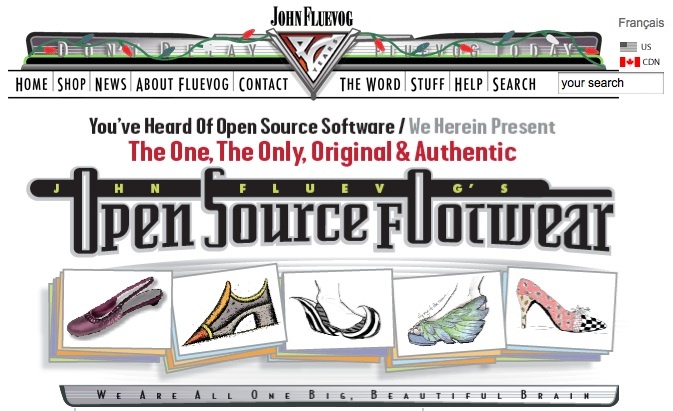 Here you can submit your own design for a shoe you wish Fluevog made. If your design is selected Fluevog covers all the costs & development process (it takes about a year to produce a shoe) and puts your shoe onto the market. The shoe is named after you and you get a free pair. 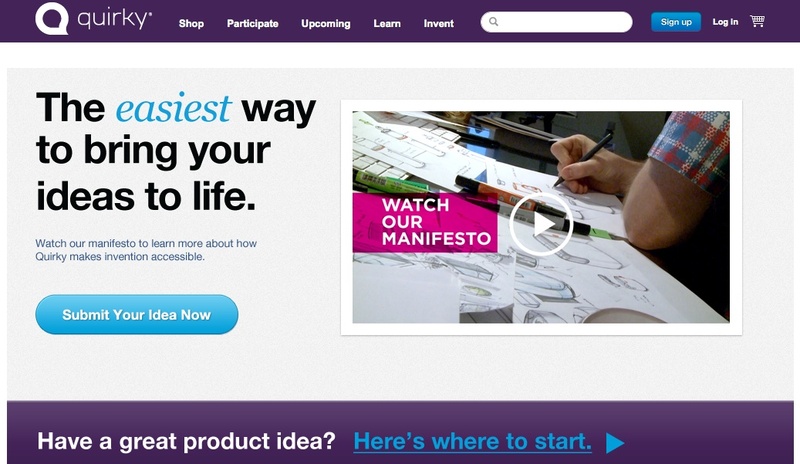 Or how about MESH01 a co-creation platform that links designers and brands worldwide. Together, you create and launch innovative products for the SportStyle industry. 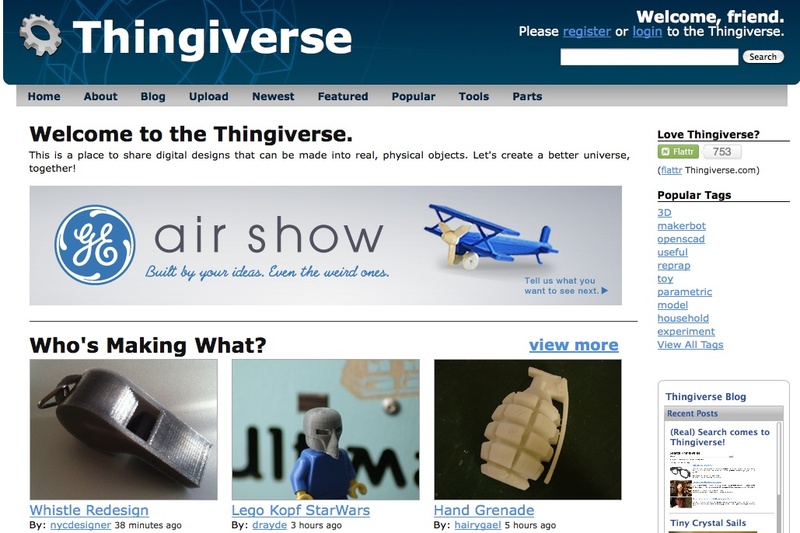 Or how about Thingiverse a place to share digital designs that can be made into real, physical objects. Got a great product idea for Safeway, Toys R Us, Ace Hardware? Why not submit it through Quirky? Check out the Space Bar Desk Organizer! Initiatives like these don’t see customers as just customers but as co-creators. When will institutions see students and the public as not just customers but co-creators? All to often programs and courses are developed by institutions in a hopeful “build it and they will come” mentality. Institutions interested in a PublicU2 kind of approach might want to consider something like Kickstarter. 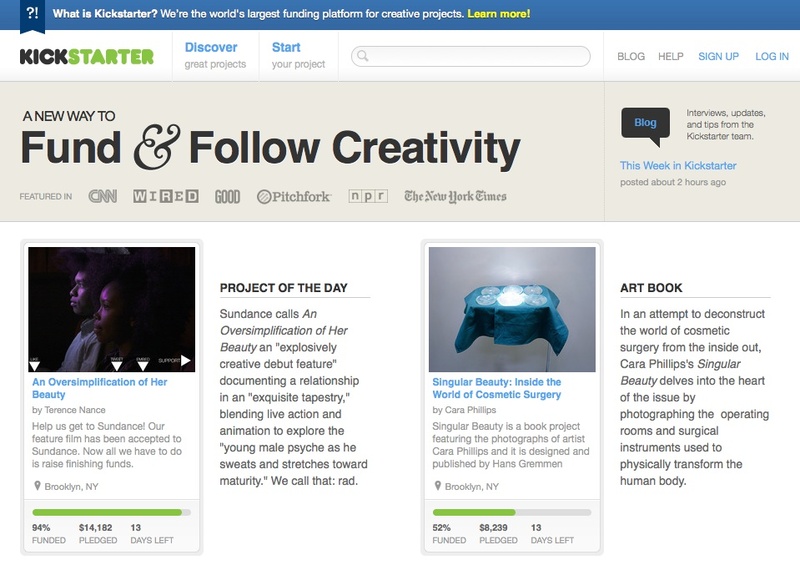 Kickstarter is the world’s largest funding platform for creative projects. Every week, tens of thousands of people pledge millions of dollars to projects from the worlds of music, film, art, technology, design, food, publishing and other creative fields. Why not a Kickstarter approach to PublicU2 programs, courses and services? Rather than pledging dollars, a PublicU2 could post programs and courses under consideration for development and invite students and the public to express interest in enrollment. When sufficient numbers indicate interest development proceeds and the program/course is offered. Co-creation doesn’t have to be constrained to just design activities for products. 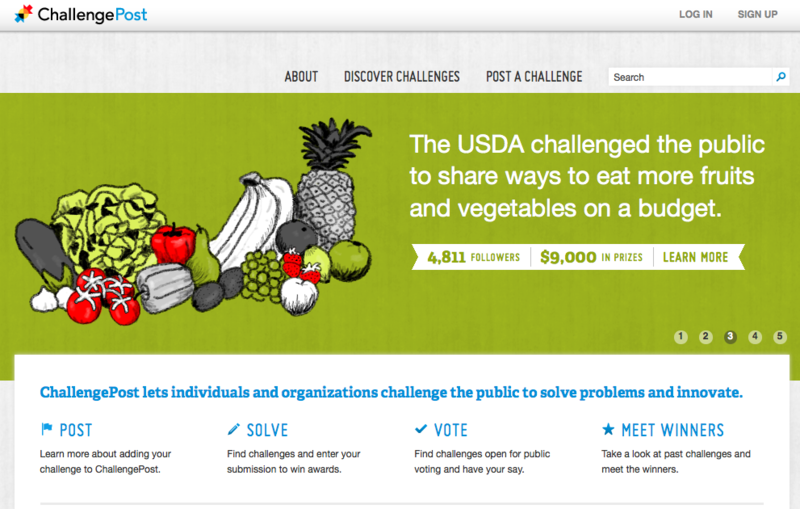 ChallengePost lets individuals and organizations challenge the public to solve problems and innovate. ChallengePost has featured challenges related to Health, Education, Science & Technology, Energy & Environment, the Economy, and Public Safety. Maybe you’re interested in the following challenges? The National Institute of Biomedical Imaging and Bioengineering is challenging biomedical engineering student teams to design innovative solutions to unmet health and clinical problems. The U.S. Department of Education (Department) is sponsoring a College Net Price Calculator Student Video Challenge which challenges high school and college students to help get information to their peers about how much it costs to go to college. When will institutions adopt similar practices to solve their problems and innovate? 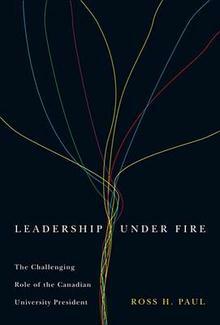 Ross Paul’s fabulous book Leadership Under Fire describes PublicU1 leaders. Using case studies of 11 Canadian past or present university presidents as well as his own experience Paul provides a masterful analysis of the attributes of the current public university leader and the major issues they face. Like Ross I imagine new leaders of PublicU2’s who mobilize their campuses to fully use new technologies, adopt more open systems, and embrace the cultural changes of a digital society. Who will be the leaders of PublicU2’s? Imagine a PublicU2 leader that publicly committed to sharing its data, posting in real time data on capacity, applicants, enrollments, graduates and other key analytics. Imagine a PublicU2 leader willing to publicly describe challenges and invite others to use its data, along with data from other PublicU2 institutions, to solve those challenges whether they be around access, affordability, quality, or service. What if government based its allocation of public funds to institutions not on student enrollments but on the extent to which an institution is public? What if public funding was based on the extent to which institutions have public engagement, collaborate and generate public goods. I imagine a PublicU2 where students and the public are given a central design role. 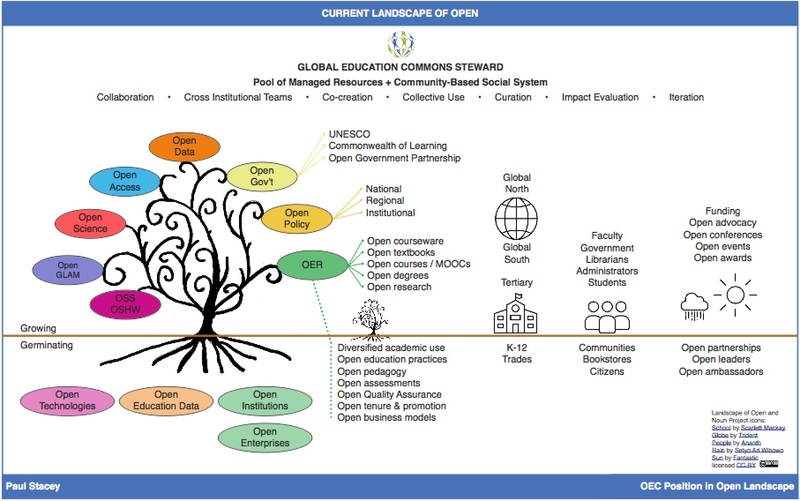 When Ontario announced plans to create an Ontario Online Institute by far the best submission to the government on what that Institute should be came from students – The Ontario Online Institute: Students’ Vision for Opening Ontario’s Classrooms. Student PIRG reports such as How Open Textbooks are the Path to Textbook Affordability are further examples of students influencing institutions. Imagine a PublicU2 that treats student and public input not as tokenism but as central to their mission demonstrating respect, trust and a willingness to transform. At PublicU2 students are their own learning designers. PublicU2 uses what we know about learning discarding transmission models of pedagogy and replacing them with social ones. At PublicU2 students play the role of teacher to other students, as it has been shown that the best way to learn is to teach. At PublicU2 teaching and learning are publicly visible and transparent emphasizing the formation of social networks within and beyond the institution. The emphasis is less on the content and more on the activities and the human interactions that take place around the content. PublicU2 emphasizes formation of virtual study groups, use of wikis to support discussions between current and past students, and engagement of the public in supporting PublicU2 teaching and learning. At PublicU2 learning generates public knowledge. I’ve long been a fan of Jon Beasely-Murray’s University of British Columbia’s class SPAN312 (“Murder, Madness, and Mayhem: Latin American Literature in Translation”) and the way they collectively contribute to improving Wikipedia’s Latin American literature articles. Here is a wonderful example of public learning generating public knowledge. So PublicU2’s are my inspiration for 2012. I’m looking for public universities where all learning is a public process resulting in public knowledge benefiting everyone. I’m looking for public universities who collaborate in the open and engage the public in identifying and solving problems. Got an example? Let me know.